1. I’m very impressed by playing OWARE, because the game is so much fun though its rules are quite simple. The simplicity of the game is very beautiful, I think. It is so easy to understand the rule, but it is necessary to concentrate in order to win. The game you gave us is home made. From the game, I felt the warmth of African earth. 2. It was a very interesting board game, and was a new experience for me. 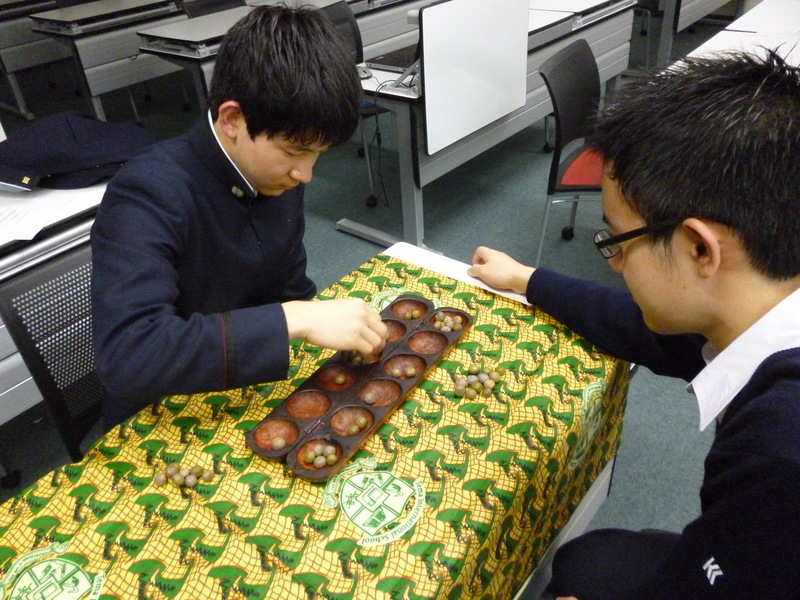 Until then, when someone said board game, I thought of “SHOUGI” (Japanese Chess). It made me want to share this game with my friends and family. I look forward to playing “SHOUGI” with you guys someday. 3. I thought the game would be like Backgammon and Monopoly. But,in fact, we need to use our brains. As a result, I enjoyed it very much. Thank you. 4. I think that OWARE is very interesting and a game which requires intelligence. It looks simple, but it’s difficult to win. 5. We had a very nice time playing OWARE. We found several different kinds of rules about the game. We, just beginners, used the simplest rules. I have two questions. I heard that the game is the oldest board game in the world. Is this true? And what kind of seeds are put in Oware? Next week we will introduce some traditional Japanese board or card games to you. 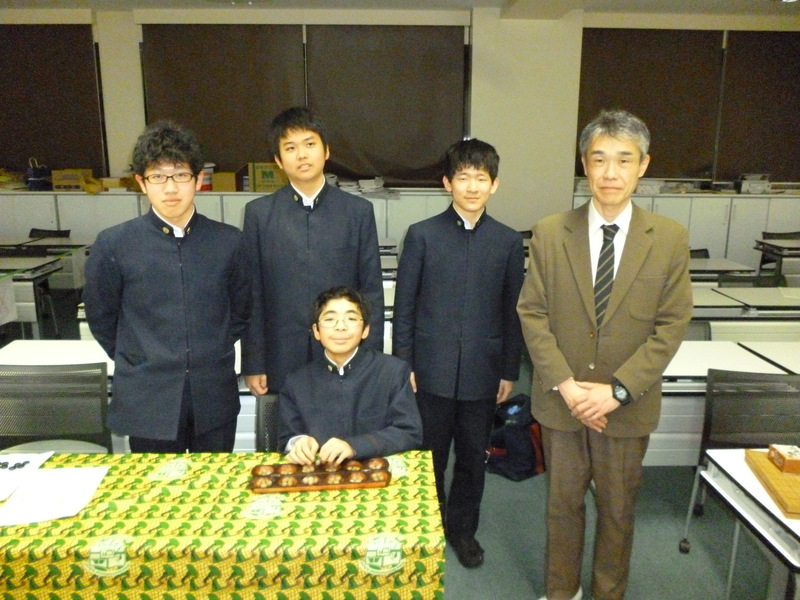 Posted on February 8, 2014 by gjveep	• This entry was posted in Kogyokusha Boys School. Bookmark the permalink. really impressive guys… good job. I’m glad you had fun playing Oware. Hope we could play together one day.